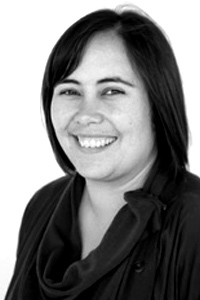 Anne-Marie Jackson is a lecturer in Māori physical education and health at the University of Otago, and joined the School of Physical Education as an academic staff member in 2011. After obtaining a Bachelor of Physical Education Honours degree majoring in Exercise Sport Science and a Master of Physical Education focusing on education policy at the School of Physical Education, she completed a doctorate in Māori studies and physical education examining rangatiratanga and Māori health and well-being within a customary fisheries context. Her research focuses on the examination of Māori conceptualisations of physical education and health, rangatiratanga and the right to self-determination, the role of the Tiriti o Waitangi for Māori health and Māori approaches to research. Anne-Marie is a member of the leadership group for the Sustainable Seas National Science Challenge and an associate investigator for Ngā Pae o te Māramatanga. She is an advisor to the East Otago Taiāpure Management Committee, a member of Hauteruruku Waka ki Puketeraki (Kāti Huirapa ki Puketeraki), a member of Te Houhanga-a-Rongo Marae Centenary Committee (Ngāti Whātua), a mentor and Futures Group member at Te Taitimu Trust (Ngāti Kahungunu) and a beginner crew member of Haunui Waka.